In a traditional Vedic yagna, the ritual calls for the invocation of Fire and other deities in a sacrificial trough. As devotees single­pointedly offer oblations into the trough, they chant Sanskrit mantras and hymns of praise for blessings and protection. It is from the image of this ritual that Swami Chinmayananda coined the term, ‘Gyan Yagna.’ In Sanskrit Gyan Yagna means ‘knowledge sacrifice’, or the symbolic burning of one’s ignorance in the fire of spiritual knowledge. Thus the principle forums through which Chinmaya Mission disseminates this man­making knowledge of Vedanta are Gyan Yagnas and Satsangs. 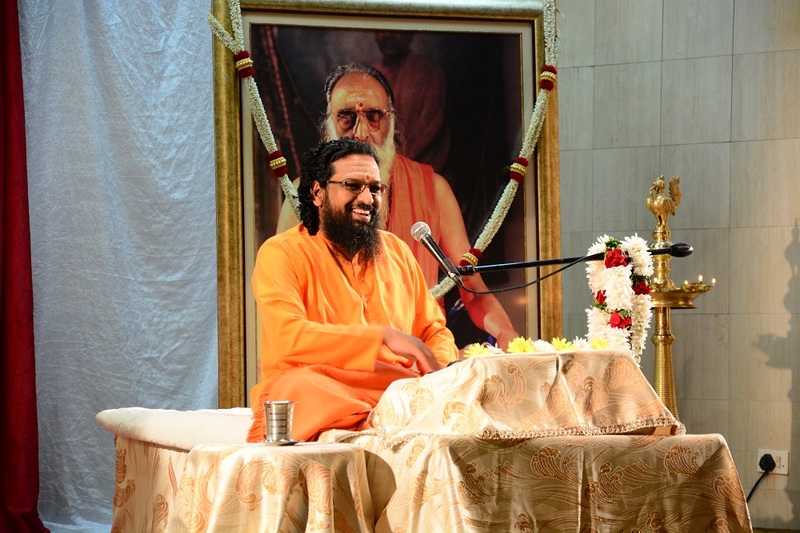 Chinmaya Mission South Africa has been regularly organising such lecture series or Gyana Yagnas where talks are delivered by our resident Acharya Pujya Swami Abhedananda, thus quenching the spiritual thirst of seekers in Durban. The talks are free of charge and conclude with Gurudakshina, a voluntary offering devotees make on the concluding day. The offerings received are used for sustaining and furthering the propagation of knowledge and Mission activities. 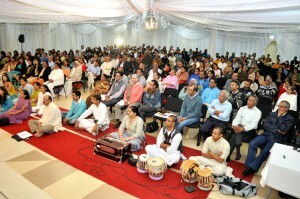 Since the year 2006, Swami Abhedananda has conducted numerous Gyan Yagnas and Satsangs in and around Durban and other locations across South Africa. However, since March 2013, Swami Abhedananda has been conducting regular monthly Gyan Yagna from the 1st to 6th of each month at the Chinmaya Mission Durban Ashram premises. The monthly yagnas conducted so far were on topics such as ‘Faith Power’, ‘Mantras of Joyful Living’, ‘Surrender of Shri Lakshmana’, ‘The Power of Devi worship’, ‘Surrender of Mother Sita’, ‘Manas Rog’, ‘Bhaja Govindam’, ‘Glories of Shri Hanuman’, ‘Shri Ram Geeta’ etc. Each day after the talks, all the devotees are fed with sumptuous dinner prasad, thus nourishing everyone’s body, mind and soul. 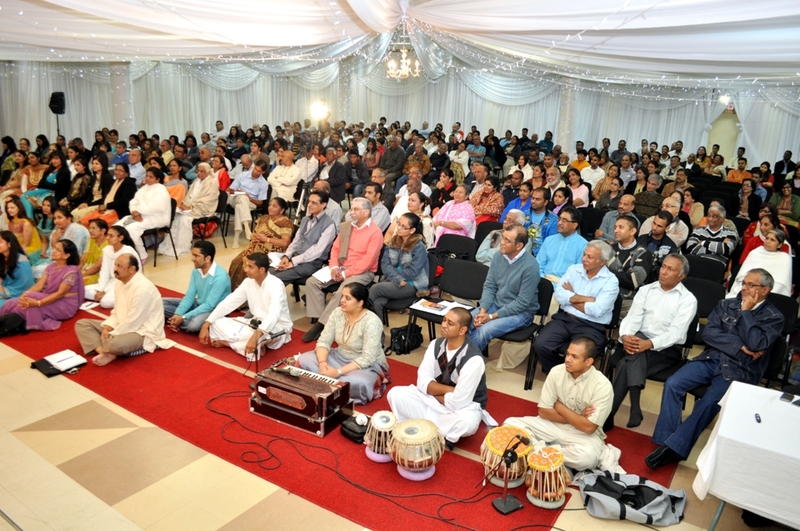 Chinmaya Mission South Africa also conducts public Gyan Yagnas at locations like Kendra Hall, Saligram Hall in Durban. Also, spanning entire Durban, from Tongaat in the north to Port Shepstone in the South, from Durban City in the east upto Pietermaritzburg in the west, Swami Abhedananda has conducted multiple Area Yagnas in different parts of KZN. Click here to see reports and more information about previous yagnas conducted by CMSA.